Help us fundraise at Stoll on bucket collection days and challenge events. Our volunteers are key to helping us raise money, engage with the community and support our events. Why does Stoll need volunteers? 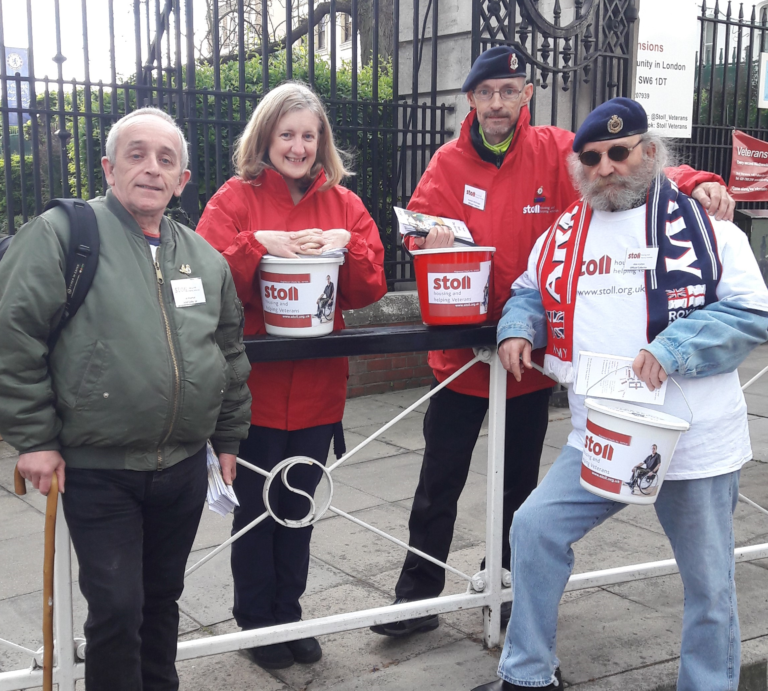 Our fundraising team is vibrant, ambitious and looking to expand so we can raise much-needed funds to continue the work we do to help vulnerable Veterans. It is an exciting time to volunteer for Stoll as we continue to grow the Fundraising Department, and you could be a vital part of the team and our future plans. We are currently looking for volunteers to join the team at our fundraising office in Fulham. This role will provide you with hands-on experience in the charity sector as you support with the administration and planning of Stoll events. This role will also provide insight into the different aspects of fundraising, such as community and trusts. What skills/experience will I gain from this role? If you would like to apply for this voluntary role and help make a difference to the lives of vulnerable Veterans, please click here.